Adoption of Television White Spaces (TVWS) spectrum saw great progress in 2013. The Google-sponsored Cape Town TVWS trial was completed and the results were an unqualified success. TVWS trials got underway in Malawi. And Microsoft pushed ahead with pilots in Kenya and soon Tanzania and South Africa. While TVWS has great potential in Africa thanks to the relative emptiness of television broadcast spectrum and the need for affordable rural broadband solutions, it is worth looking more broadly at potential of dynamic spectrum allocation beyond the VHF and UHF bands. In particular, I want to raise the possibility of applying the concept of dynamic spectrum allocation to the GSM bands. To many this will sound like heresy as most of the available spectrum in the GSM bands has already been assigned to mobile network operators (MNOs) for their exclusive use and that spectrum IS in use. At least we are led to believe that is true but it is hard to know comprehensively as most communication regulators don’t publish an up-to-date list of spectrum assignments for their country and very little is done in terms of actually spectrum occupancy surveys and analysis. So what can we say from practical experience. Experience tells that in most parts of sub-Saharan Africa, you don’t have to go too far out of an urban area or off a main highway to see coverage become much less reliable. 3G disappears almost immediately and even basic phone coverage can disappear pretty quickly especially in hilly areas. The reason for this is that the economics for deployment in sparsely populated rural areas often doesn’t make sense for MNOs. They can’t make enough money to justify building and operating a base station in many rural areas. This is a bit of a raw deal for rural dwellers who are increasingly marginalised as the value of having communication access continues to rise. The message from MNOs is that either the government must subsidise them to deliver rural services or they must wait until technology evolves and/or becomes cheap enough to make rural deployment practical. The truth is that there is very little pressure on MNOs to deliver in rural areas. The rural poor have no voice and don’t command the attention of politicians. But just because the economics for rural access doesn’t work for the MNOs doesn’t mean there isn’t a model that can work. Low cost GSM basestation manufacturers like Range Networks in the US and Fairwaves in Russia are producing affordable GSM basestation equipment that can be deployed for less than five thousand US dollars. However, the current spectrum licensing environment forbids them access to GSM spectrum that has already been assigned to MNOs, even when that spectrum is not in use, as may be the case in many rural areas. But what if you could use that spectrum? What if, just like Television White Spaces, it were possible to have dynamic access to unused GSM spectrum? This is not nearly as far-fetched as it may sound. In Mexico, Rhizomatica, a grass-roots non-profit organisation, have done just that. They have sought permission from the regulator to use GSM spectrum in un-served villages near the city of Oaxaca. According to founder Peter Bloom, they were able to take advantage of provision within the Mexican constitution which says that an indigenous community has the right to own and operate its own media infrastructure. Also, Mexican telecom law states that whenever a frequency is not being used in a specific area by the concession holder, that the ministry has the right to assign that frequency for social coverage purposes, or find other available and relevant spectrum. Armed with that information Rhizomatica were able to approach the Mexican communication regulator with a letter signed by more than thirty indigenous communities seeking access to spectrum. They were then invited to submit a formal technical proposal which led to an experimental license being given to use an un-assigned block of frequencies in the 850Mhz band. With that they have been able to provide GSM communication services to over a thousand people. Their success has been profiled by CNN, the BBC, and others. They are not the only example either. Researchers at UC Berkeley have partnered with a local non-profit in Papua, Indonesia to put up a similar community GSM network. These are small but bright examples of how rural communities might solve their own connectivity problems but not every community has the wherewithal to petition a regulator for spectrum. But what if things were different? 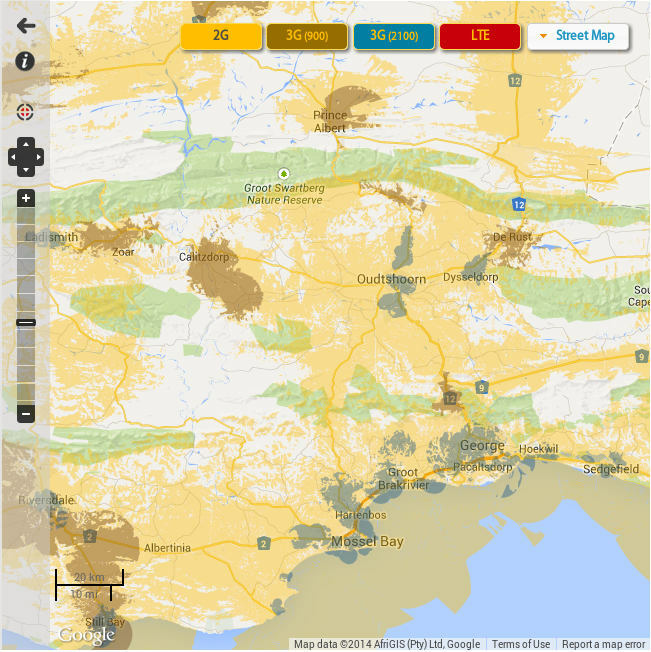 What if, the same geo-location database technology that has been proposed to manage Television White Spaces spectrum could be used to make unused GSM spectrum available to small operators on a secondary use basis? Then small rural operators could be set up without a long administrative process. Why not? But wait, it gets better. The very same researchers at UC Berkeley have come up with a brilliant innovation that allows them to carry out spectrum sensing using ordinary GSM handsets. Their innovation, which they have already implemented as proof-of-concept on the the low-cost GSM technology that they currently use, enables each mobile phone connected to their network to sense occupancy in the GSM spectrum band. The base station can then dynamically move away from any occupied frequency in the area. This concept works on even the most basic of mobile phones. This approach either alone or combined with a geo-location authentication database could offer an effective guarantee of non-interference to the regulator. A full explanation of this approach is available in a research paper published a few weeks ago. The social and economic cost of not having access to communication is rising. The current paradigm of spectrum management is not enabling access for economically poor, sparsely populated, rural areas. The solutions to this problem are available to us but it is going take some communication regulators with courage and vision to allow these new approaches to take hold.